What’s the inspiration behind the design? 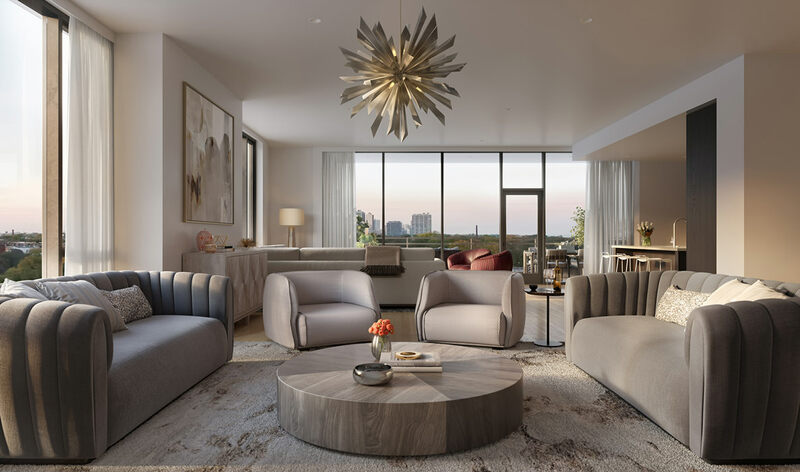 GLP: The interior design concept for Fifteen Fifty on the Park reflects the three neighborhoods that come together at this location. Our designer palettes suggest the glamour of the Gold Coast, the vivacity of Old Town, and the traditional comforts of Lincoln Park. Floor plans are gracious and large, and successfully pair modern materials with traditional detailing. How did current lifestyle trends factor into the designs? GLP: The kitchen has become the center of the home, and naturally, we paid careful attention to kitchen layouts, materials, and finishes. 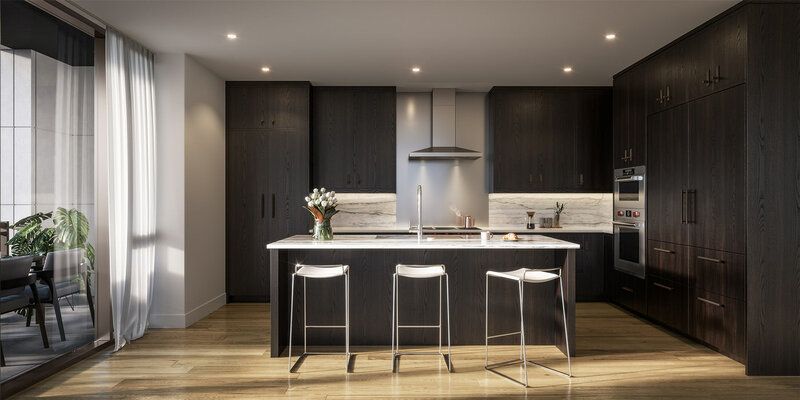 We enlisted custom kitchen designer and cabinetmaker, O’Brien Harris, to lend their European detailing and craftsmanship, and as a result there is an unmistakable refinement to the kitchens that we know is going to impress homebuyers at Fifteen Fifty. The residential market is also increasingly trending toward larger, more open spaces. 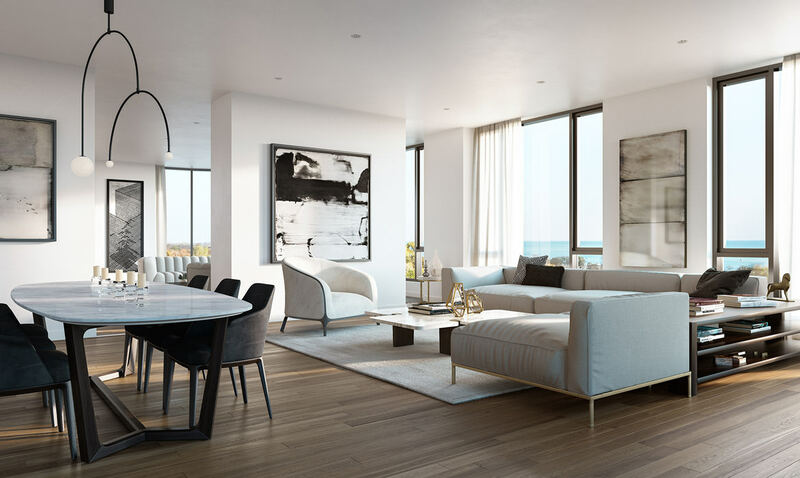 And while the residences at Fifteen Fifty include high ceilings, ample natural light, and large windows, the openness is also balanced with a sense of calm and serenity thanks to the inclusion of more secluded, private spaces. What are your favorite features of the building and/or floor plans? GLP: As a firm, we’re proud of the subtle detailing that represents the thought put into the whole concept. A lot of that has to do with how a homeowner feels in the space versus a feature they can see or touch. For example, the entry is an essential space, being the first and last part of the home a resident or guest experiences. The traditional, gallery-like portals to each residence are airy and elegant, proving that condominium living can feel very stately.